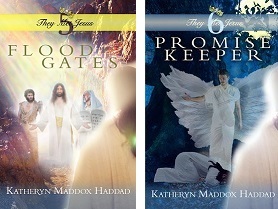 Katheryn Maddox Haddad is shown with her books at her home in Casa Grande. 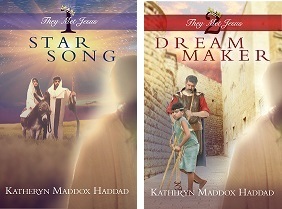 CASA GRANDE — With each book she writes, Katheryn Maddox Haddad hopes to inspire people. 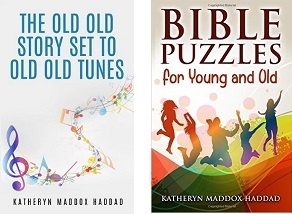 The author of 65 novels, 28 children’s books and dozens of other Christian-based works, Haddad, a Casa Grande resident, is currently at work on her next writing project — a trilogy of books including one that offers a life-changing scripture for each day of the year. “It will include 365 scriptures organized by date,” she said. She is also planning to write a book of 365 “pithy proverbs” by date for the trilogy and is working on a prayer book, she said. At 78, Haddad has no plans to stop writing or slow down anytime soon and each day begins early in the morning. She’s usually up and writing by 6 a.m. By the afternoon, she shifts focus to her English-learner students whom she teaches online through the World English Institute. “I usually have 200 students at a time,” she said. 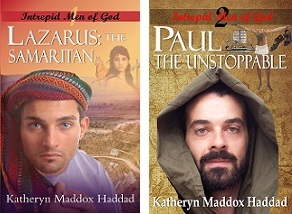 And while she enjoys all of her writing projects, it’s the Bible-based historical novels, many with titles like “Samaritan Quest,” “Paul the Unstoppable” and “Luke: Slave and Physician” that are the most fun to write, she said. 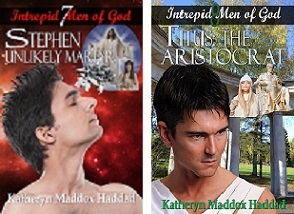 Many of her historical novels are part of her “Intrepid Men of God” series. 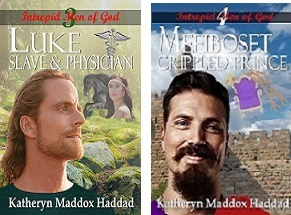 Other historical novel titles fall under her “They Met Jesus,” “Hercules: the Philosopher’s Quest” and “Mysteries of the Empire” series of books. 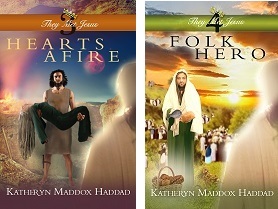 She hopes to start a series based on the “bad sons” of the Bible, she said. 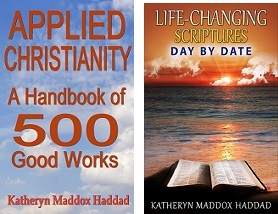 With each novel and character, stories in the Bible provide the basics. Imagination and research are used to fill in the blanks and bring the biblical icons and their supporting characters to life. 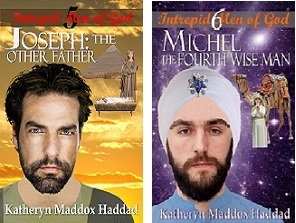 For a typical historical novel, Haddad does about 300 hours of research. She studies the politics of the time as well as maps and historical events. She strives to put into words the sights, sounds and even smells her characters would have experienced. She also researches, or in some cases imagines, what attributes her characters may have had. She begins each book by creating a time line of events and studying maps of the area. “The characters might travel, so I gather all the archaeological information so that they’re not traveling on a road that wasn’t there,” she said. 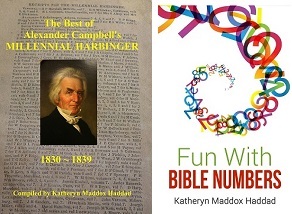 The Bible has long been important to Haddad. A member of the Casa Grande Church of Christ, she said faith is a big part of her life. 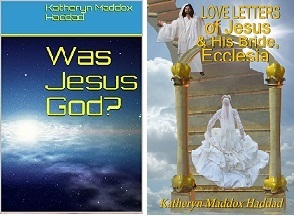 Through her writings, she’s sharing her love of Christ with others, she said. Haddad is also teaching future writers to pen their own stories. She’s teaching a novel writing class at Good Ruby bookstore in Casa Grande and plans to start another session in January. Teaching, whether it’s novel writing to local residents or English to learners on the other side of the globe, is important to Haddad. She has taught English online to residents in other countries since 2010 in a course that uses the Bible as a textbook and resource. Many of her students are Muslims and over the years, she’s introduced the Bible to about 6,300 Muslims around the world. Although she’s Christian, her late husband was Lebanese, giving her the Haddad part of her last name. While she focuses on teaching them where, when and how to capitalize and punctuate as well as vocabulary, she often comes to know her students through their emails. Although some of her students have converted from Islam to Christianity, she said some students simply learn more about the Bible and the stories in it. She wrote “Christianity or Islam, The Contrast” several years ago with her Muslim students in mind. The book is a comparison of the two religions based on verses from both the Quran and the Bible and highlights some of the differing views each religion takes on topics such as marriage rights, wife allotment, death, prayer, the end of the world. 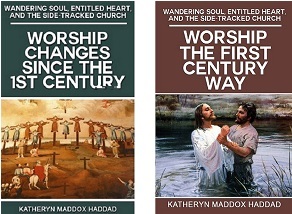 “Testimonies of 100 Muslims who decided Jesus really was the Son of God and not just a prophet” is a section in the book in which she quotes several of her students, many of whom converted to Christianity. But she said the book is also written for Christians wanting to better understand Islam. “It was written with love for both Christians and Muslims,” she said. 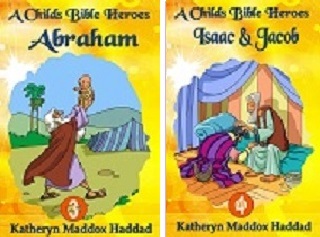 Like the other books she’s written, Haddad said love and hope are the main concepts she hopes to convey to readers. 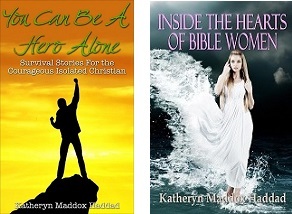 “I want to inspire people through these books and encourage them in their lives,” she said. 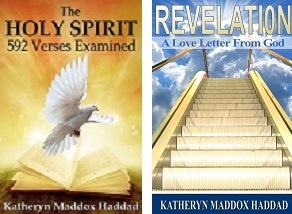 Most of Haddad’s books are on sale on her website, inspirationsbykatheryn.com, as well as on Amazon.com. 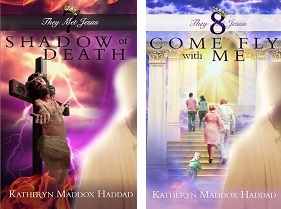 Some are in bookstores, including Barnes & Noble and the Good Ruby bookstore in Casa Grande. Her novel writing classes are taught at Good Ruby bookstore.